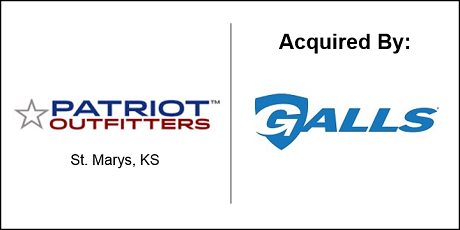 Galls is an industry-leading retailer – distributing uniforms, duty gear, and other accessories used by law enforcement, fire safety, emergency medical, private security, and corrections personnel online and in their 50 stores across the country. They have been in the industry for close to five decades. Galls is owned by CI Capital. Patriot Outfitters, a nationwide specialty retailer, has been selling tactical gear and equipment since 1999. From a strictly online presence, the company grew to be the second largest national retailer of tactical gear and equipment within the Army & Air Force Exchange (AAFES) system, with 20 retail stores and 140 employees. The DVS Group initially worked with Patriot in a refinancing transaction in 2012. As the relationship between the two grew, The DVS Group began to help the owners of the company move toward selling. After soliciting multiple buyers, Galls, with exceptional market position and reputation in the industry, proved to be the best fit for Patriot. Galls, a strategic buyer backed by private equity, was a thorough investigator during the due diligence stage of the deal. Patriot continued to check all their boxes and the deal closed on September 12, 2017.